Click here to reserve a Book Club in a Bag! Do you enjoy discussing books with your friends? If so, why not start a Book Club? We can help make it easy with our Book Club in a Bag titles. Each Book Club in a Bag has fifteen copies of the same book, so every person in your group can take a book, read it and be ready for the discussion. Also included in the bag is a list of discussion questions, some suggested titles and information about the author. There are more than 200 titles available, from provocative tales to classics to movie tie-ins to riveting nonfiction. Each of these titles will give your group plenty to discuss. To find a list of all the wonderful Book Club in a Bag titles, click here. You’ll find information about each title and when it’s available. 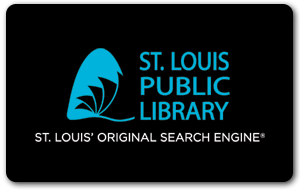 It’s easy to make your selection, and you may reserve a bag months in advance to be delivered to the St. Louis Library location of your choice. We can help you select a title, make your reservation and answer any questions you may have about the Book Club in a Bag program.